The subway can be sweltering, crowded, and foul. It can also take you where you never imagined. 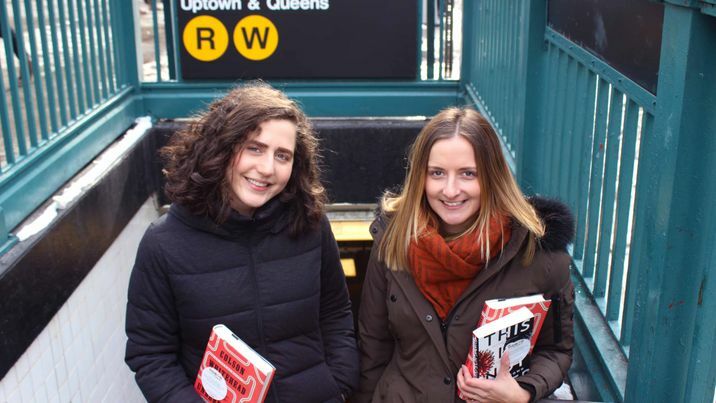 That’s the idea behind Books on the Subway (BOTS), a grassroots program created by New Yorkers, who, since 2013 have been hiding books on cars, platforms, benches and other spots within the city’s labyrinthine subway system, with the high hopes that someone will find them, read them, love them and share them with others. Like all great movements, this one started small. Rosy Saliba Kehdi and Hollie Fraser began the project in 2013 (Hollie started hiding books on the Tube in London a year earlier), and in the early going a group of volunteers hid just a couple of novels a week. Today, more than 1,000 books have been sprinkled throughout the system. This year things are a bit more organized, with a book list and plans to plant a different book throughout the system every weekday or so until September. We love the idea of spreading the love of reading so much, we wanted to find out more and caught up with Rosy and Hollie to get the scoop. Rosy moved to New York from Lebanon in 2012, and she currently works in Account Management for an advertising agency. 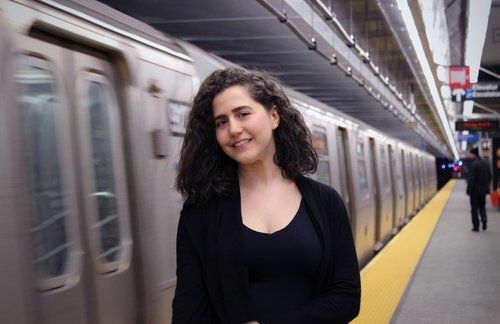 She loves to read (although feels that lately Books On The Subway has been taking away from her reading time), and is a HUGE Harry Potter fan, on a mission to convert as many non-readers into fans! Hollie is from a small town in the north of the UK, she moved to London after college and started Books on the Underground in 2012. 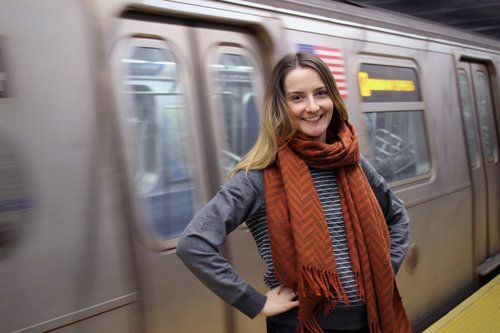 She recently moved to New York in 2015 where she now helps Rosy run Books on the Subway. What inspired you to start #booksonthesubway? Rosy: Hollie started Books On The Underground in London, and I found out about it via a post on Facebook. Once I saw that post, I decided to launch Books On The Subway in NYC. Working alongside Hollie (then in London), we both set it up, designed the NYC sticker and set up the social channels, and so BOTS was born. Hollie: So far, the response has been overwhelmingly positive! Commuters have been finding the books, posting about their findings, and letting us know how much they love the program. We’ve seen books being shared that we dropped a long time ago, which shows that the books have been returned to the subway and picked up by new people. How do you decide the books that make it into this program? Rosy: We try not to filter the books that we drop, barring anything that feels too controversial or may not have mass appeal. We think there’s a huge audience in NYC, and we’re sure we’ll find someone that will resonate with the book we’re dropping. In such a diverse city, we want to make sure there’s a book out there for everyone. What makes you such passionate readers? Hollie: I like that books let you enjoy them at your own speed, they allow you to have your own interpretation and visual imagination of the characters and world. And even though people read the same book, they won’t have seen the same story and I love that. Where and what genres do you read most often? Rosy: I read mostly on the subway, and at home. I’m a big fan of thrillers, crime fiction and mystery. Hollie: Where? On the beach, but mainly on the subway. And normally a contemporary fiction novel. Are there any books that you wish you had found on the subway during a particular time in your life? Rosy: Career advice when I was looking for a job? Ha. Hollie: I wish I’d found The Book Thief. So I hope whoever found it, will be as happy as I would’ve been. We saw on your site that Books on the Move has gone global! Tell us about this initiative. Rosy: Many people have reached out to us across the world asking to start the program in their country/city. We would love to expand globally, so we’ve been encouraging these people to establish their own branches, and run it independently so it suits the pace and style of that city. We’re in multiple cities and growing! If you’re looking to start in your city, just reach out to us, we want to share the love of reading far and wide! You can drop Hollie an email to booksonthemoveglobal@gmail.com and she’ll help you to get started in your city. 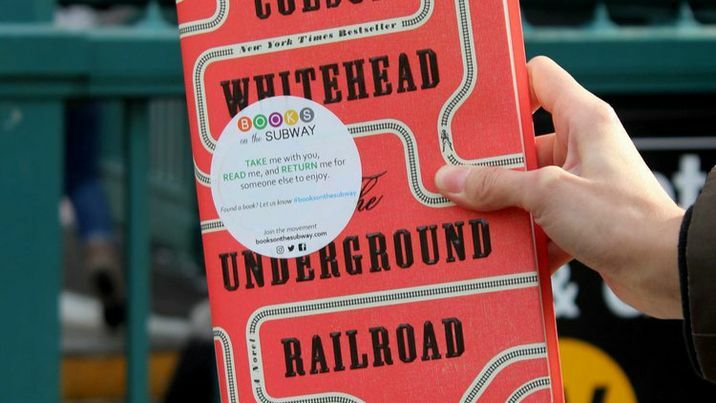 Now that you’ve spread the love of reading far and wide—what’s next for #booksonthesubway? Hollie: There’s a lot we can do with it. We would like to be able to help out reading charities in NYC and bring more books into underprivileged parts of the city and into the hands of people who don’t have access to them. But also, we want to keep doing what we’re doing, helping all authors, big and small, spreading the word about their books, and using BOTS as a platform for that. What are some books you recommend we all read during our commute? Rosy: Some of our favorite books are: The Book Thief and The Kite Runner. So, if you find a book from us on the subway, feel free to pick it up and take it home with you! But when you’re done, be sure to put it back on the subway for someone else to enjoy.